Yvette Berry breaking ground at Higgins Oval. Photos: Supplied. The sod has been turned on the $1.85 million transformation of Higgins Oval before the start of next winter season after lying dormant for a number of years. The upgrades to the ground will include two sports fields, a new synthetic cricket wicket, a new sports ground pavilion, lighting for after-hours training along with new irrigation, topsoil and turf. The funding, which was announced in the 2018/19 ACT Budget, will turn the oval into a functioning sporting ground after being turned off due to the drought in the early 2000s. The two fields will have combination configurations to cater for rugby league, rugby union and Oztag, with the new pavilion including toilets, team changing areas, a canteen and storage space for use by sporting groups. 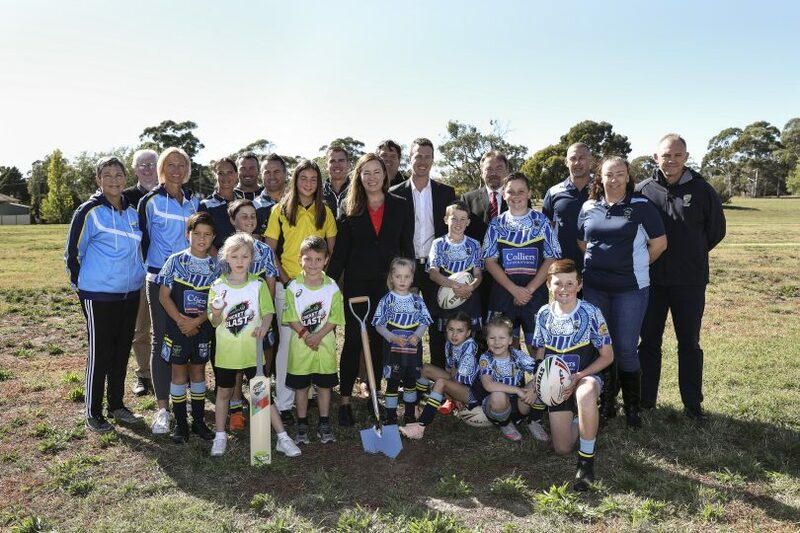 Flanked by West Belconnen junior rugby league, Cricket ACT, Canberra Region and Community Rugby League and Canberra Region Rugby League, ACT Sports Minister Yvette Berry turned the first sod for the Higgins neighbourhood oval upgrade on Wednesday morning (10 April). “Restoring the Higgins oval has been a goal for many Higgins residents since it was retained as open space for community use,” Ms Berry said. “This oval in the heart of Higgins is already well used by everyone in the community. Sports participation in the area has grown and so it’s important that the oval can keep up with the growing community—current and future. The funding will turn the oval into a functioning sporting ground. “Community ovals such as Higgins oval are an important part of Canberra’s sporting infrastructure, providing important community hubs, encouraging families to stay active and providing a place for young Canberrans to progress from grassroots to elite sporting if that’s their dream. The redeveloped oval will turn into the new home for one of Canberra’s biggest junior rugby league clubs, West Belconnen, which was welcomed by Canberra Region Rugby League general manager Mark Vergano. “With the development of Kippax taking away an oval down there and the previous facility for West Belconnen juniors needing some refurbishment, a new facility at Higgins playing fields is great,” he said. 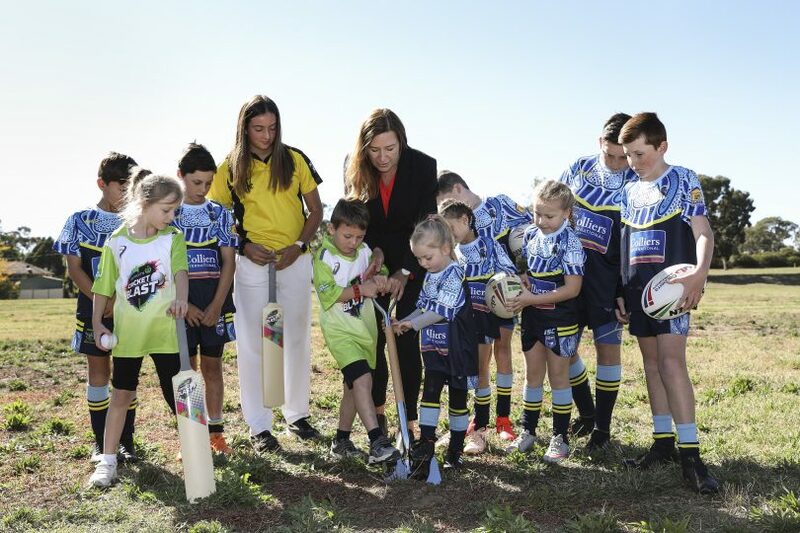 Vergano said some grounds across the ACT had reached capacity and is calling for more grounds to encourage more girls and boys to play the sport. Jordan Davies bring back memories? Fantastic! The article calls for more grounds in Belconnen - Florey oval is crying out for refurbishment & more sporting groups to use it.